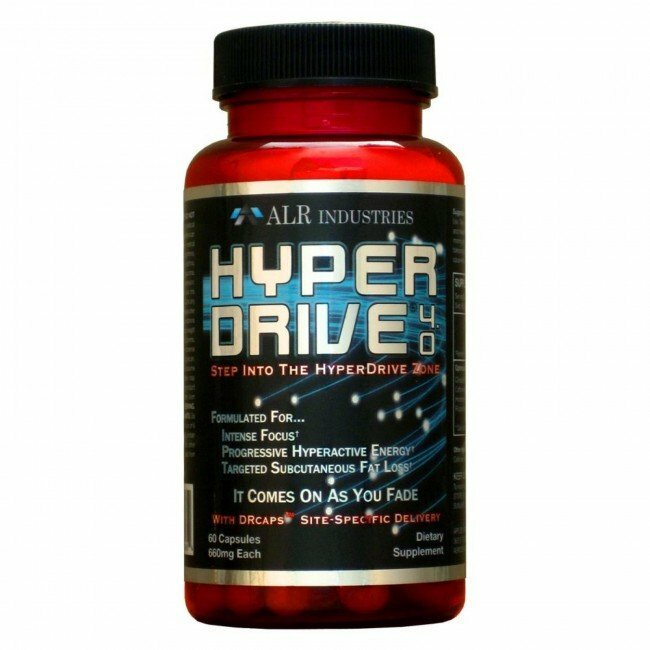 ALRI Hyperdrive 4.0+ is a scientifically formulated supplement that puts all of the most powerful weight loss methods at your fingertips, Hyperdrive 4.0 has been designed to specifically target the subcutaneous fat layer. Say good bye to those dimply thighs or bloated look. Scientifically Formulated Supplement Makes Shedding Fat Easy! Have you tried – and failed – to lose weight over and over again? Are you beginning to believe that you have no hope of shedding those extra pounds? If so, you need to get your hands on ALRI Hyperdrive 4.0+, stat. How Does Hyperdrive Outperform Competitors? You may have fallen for promises like these before, and not seen any appreciable difference after trying them. Many weight loss supplements promise to fulfill some or all of these goals. So what makes Hyperdrive different? While many companies have come up with supplements that sound great, oftentimes the actual product contains only trace elements of various herbs and compounds. Hyperdrive, on the other hand, uses only high-quality ingredients which have been scientifically proven to have a real impact on your weight loss. Cocamine is a proprietary compound offered only by ALRI. It offers all of the health benefits of chocolate, without the unhealthy sugars and fats. These include caffeine, amino acids, minerals, and antioxidants. This is a powerful natural stimulant which enhances the transmission of information between neurotransmitters in the brain. Naturally produced by the body following a workout, it is thought to contribute the feeling of well-being that we have after exercise. PEA is also known to increase alertness and energy levels in a safe and pleasant way. It also elevates moods and staves off depression. More than half of all people who suffer from depression are lacking this important chemical. Finally, it increases the libido and helps to reduce appetite and hunger pangs. Caffeine is well-known as a stimulant, but did you know that it also works to reduce the amount of fat buildup in the body? Caffeine helps us to burn more fat when we exercise, contributing to weight loss. Furthermore, caffeine has been scientifically proven to increase strength and endurance, both short-term and in the long run. These substances work together to curb the appetite, block fat buildup, and burn existing fat more quickly. Scientific research and user feedback proves that Cocoamine really works, resulting in increased energy, appetite suppression, lipolysis (fat burning), improved mood, improved concentration, increased alertness, improved physical performance, aphrodisiac properties, and health benefits. However, Hyperdrive doesn’t stop with the highly effective Cocoamine compound. In order to maximize your weight loss potential, it also includes the powerful substances Hoodia to make you feel satiated sooner, 5-HTP to enhance your moods, ALA to even out your insulin levels, Rhodia to increase energy, Vitamin B to support your energy pathways, and capsiate to increase fat burning and provide healthy antioxidants. What a powerhouse! Is ALRI Hyperdrive 4.0+ Safe? You may have heard that some of the ingredients of Hyperdrive can be unsafe – and this is true, in the wrong doses. Hyperdrive is perfectly healthy, if taken in the prescribed dosages. Each ingredient has been carefully balanced to provide the optimal levels of weight loss, so be sure to follow the package directions carefully. Is Hyperdrive the Only Thing You’ll Need to Succeed? Although ALRI Hyperdrive 4.0+ makes shedding the pounds easy, it still requires some work and discipline on your part. Lower your intake of unhealthy foods and exercise regularly for the best effect. Other Ingredients: Vegetarian Hypromellose, Microcrystalline Cellulose, Modified Cornstarch, Magnesium Stearate, Silica. Take 1 capsule in the morning to test your personal need and tolerance for the first 2 days then take 1 capsule in the morning and 1 capsule in the afternoon if your personal needs and tolerance allows. Do not take after 5pm as energy aid products may cause restless sleep. Do Not consume more than 2 capsules daily. Optimized Proprietary Matrix Cirsium OligophyllumExtract (Whole Plant), Caffeine Anhydrous, Methylsynephrine, Hordenine, Black Peppercorn Extract, R-Lipoic Acid, OEA (Oleylethanolamide), Piperine.